Timeless beauty inspired by jewelry dating from the 5th century B.C., now in the collection of the Lowe Art Museum in Florida. 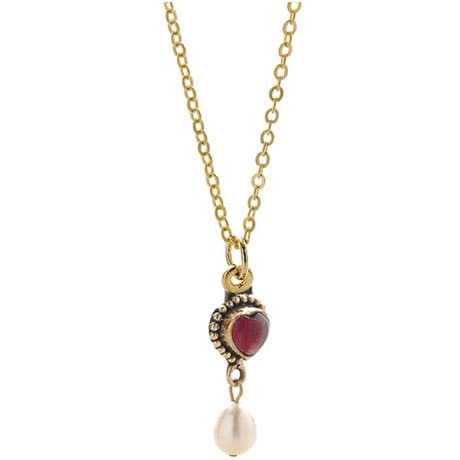 Cabochon garnet hearts are bezel-set in gold vermeil with granulation and accented with freshwater pearl drops. Earrings hang 1 ½" from locking French wires. Matching necklace with delicate chain is 18" long. Gift boxed with story card.